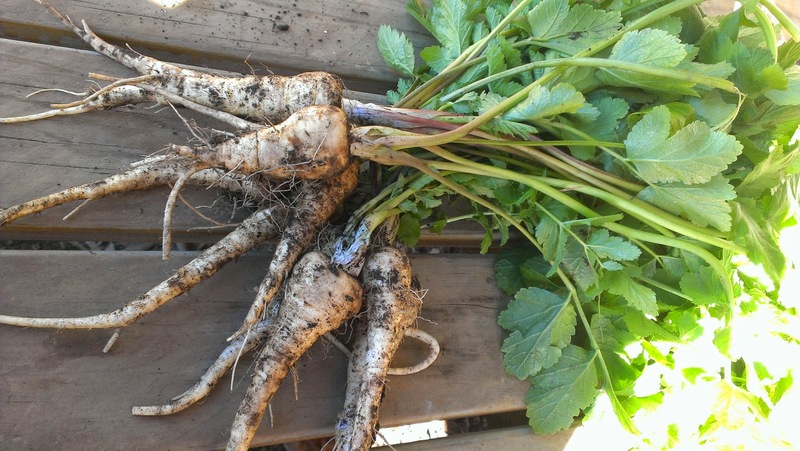 I have grown parsnips for the first time this year. I think I put them in the ground in January or it may have been February? In any case, I have just started harvesting them and, considering this is my first year growing them and considering that I really don't yet have either deep or rich soil yet, the outcome has been pretty good. 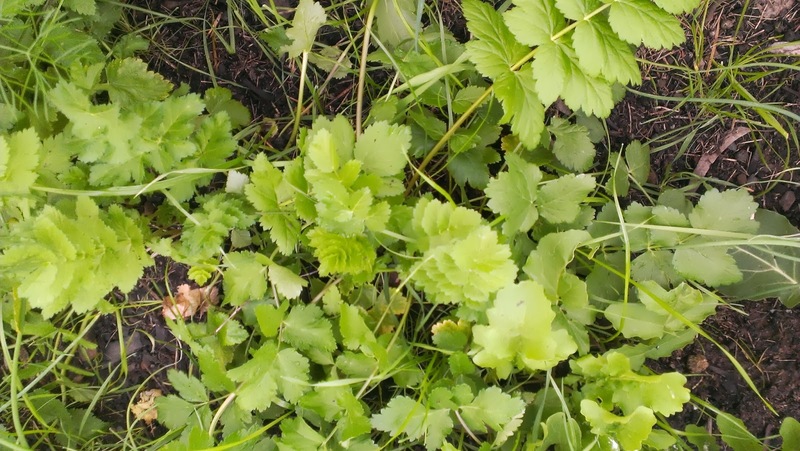 I put the seeds in directly into soil that I had prepared by digging deeply. I always put more seeds in that the space permits and thin via harvesting meaning that my first harvests of root crops are always on the small side and my later pulls are bigger. I expect that this is an unusual practise, probably born of laziness but it seems to work for me with radish, beetroot and other roots. The seeds were of the Hollow Crown variety. This seems like a bizarre name for a vegetable variety. To me 'hollow crown' sounds more like a vegetable disease of root crops rather than a variety, the kind of pestilence that might mean that your vegetable looks fine on the outside but is completely hollow on the inside? Intrigued by the name I googled and found Hollow Crown is a BBC TV series and that Hollow Crown parsnips are an old, seriously old variety. They were first grown in Australia in 1852 but have an older heritage in Europe, according to the seed packet to 1820. I found then very easy and trouble free to grow. They can look untidy in the bed - the tops are pretty but do seem to flop rather than stand upright. 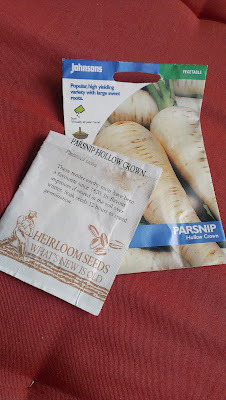 Here are my humble attempts at growing hollow crown parsnips. They are pretty small compared to the long rooted ones you get in the supermarket. I suspect that's a factor of my soil, my tendency to thin as I harvest and the fact that I could have grown them on longer. What of the taste? 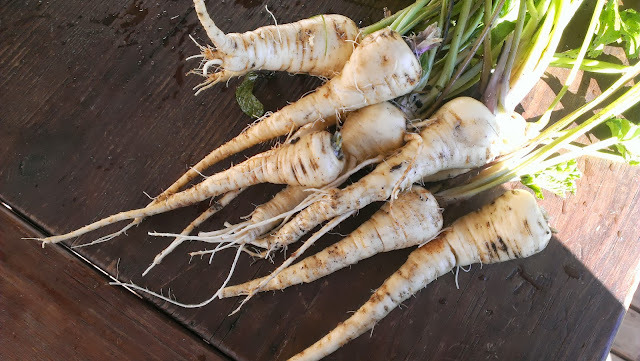 Well it is usually the case I think that home grown anything tastes great, but I can honestly say that this is especially the case for these parsnips. I found them sweet and buttery or creamy in texture - really delicious. There was absolutely no hint of that slight bitterness you can get with parsnips...I think there might be parsnip mash with dinner. I am contributing this post to Liz's Saturday Spotlight. Pop over to hers to see other vegetable varieties highlighted. I've finally got round to writing my post which I should load soon. Apologies. I too am growing Hollow Crown and I too adopt your sow thickly and thin technique for root vegetables. I'm just wondering whether or not to start thinning my parsnips. I hope I get ones as good as yours look and tasted. I did the 'measure the space between seeds' thing this year. I might try the 'sow thickly and thin later' approach next time! Though relatively small, I pulled some yesterday, cooked them and threw them in the processor with sauteed garlic, sour cream and a dash of milk (salt to taste). They were to die for! So smooth and creamy and sweet. I'm already sorry that I didn't sow more this year though I have sown more than last. Thanks for sharing "hollow crown" parsnip trivia! I got my seeds from our local produce swap and just harvested the first 2 today. The first thing my partner commented on was exactly as you say- no bitterness and very buttery. I was told however that the seeds don't keep at all - you have to plant the year you harvest- which means I will be sacrificing a few plants for seed.